....The perfect cheesecake that only comes out in december (Peppermint Bark Cheesecake from Cheesecake Factory). I see their arrival in stores I buy up bags and bags of them. ....A new craft project that I have been saving for the right moment. Right now it's a shadow box project that I cannot get out of my head. I start buying the materials for these obsessive craft projects and setting them aside until I'm ready to craft away. 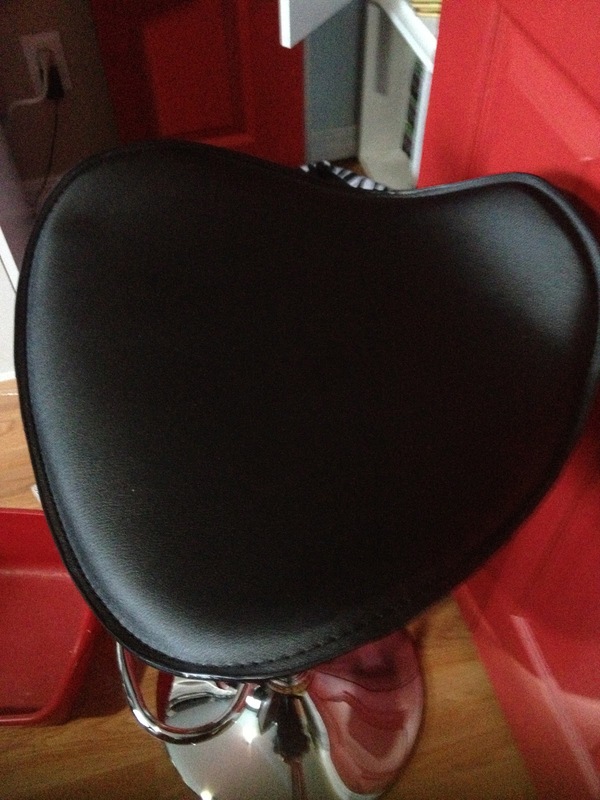 ...But how about the perfect STOOL? This is a long time obsession of mine that I have had. I was first introduced to a this lovely stool below at a previous place of employment. They brought them in when a new office space was built and it was love at first sight (or sit). I knew at that moment I must own one for my craft room. I inquired about where they were purchased from, but sadly no one knew. So now every time I pass buy a display of stools and chairs in any store I always stop looking for my "stool obsession". And as luck would have it... 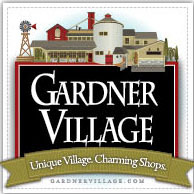 I was browsing around some of my favorite shops at one of my all time favorite local shopping destinations, Gardner Village. It was in the "Down to Earth" store that I happened upon my true love....my stool! I was willing to pay at least $100 for this long time obsession of mine and even better...they were on sale for $39.00. So I bought TWO!!! 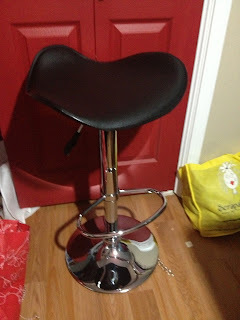 I ran home and assembled my stools. It didn't take long and I was SO VERY happy. 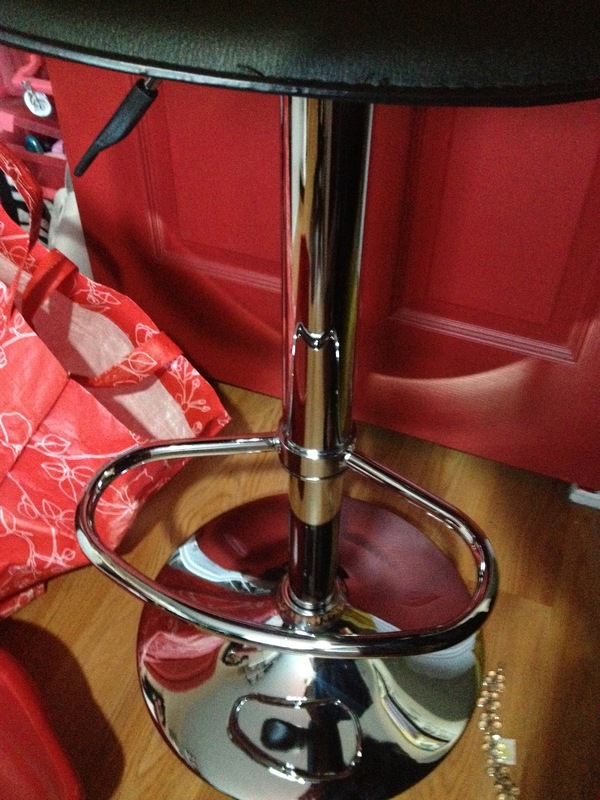 So to prove how obsessed I can be, I knew I must BLOG about my new stool. And publically express my thanks to Down to Earth at Gardner Village for having the good sense to offer these as an item in their store!! So glad your stool obsession has been satisfied! There's nothing worse than "needing" something and not knowing how to get it! Now you can live happily ever after!